Posted on July 21, 2018 by Jon L.
Should you use Pay Per Click marketing in your business? A good question, but one that is very hard to answer! 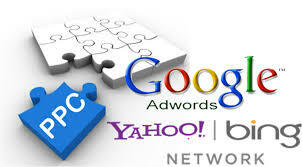 More commonly referred to as PPC, pay per click marketing is an extremely efficient way of generating traffic to any website, however if you’ve tried it without the proper training and guidance, then you’ve probably used up your advertising budget almost overnight with little or no results to show for it! Now, before I go on, lets be clear about something. In this blog post I’m only talking about Search Engine PPC. There are many other forms of PPC advertising you can use on social media sites like Facebook and Twitter, but there are many differences in terms of set-up and how you target. Social media PPC is not covered in this blog post, but you can learn more about Social Media PPC FROM THIS BLOG POST HERE! So you research and choose the hottest keywords, then burn through your daily budget in an hour with no sales. The myth that mega traffic produces mega profits is just that…..
Traffic is great. Traffic improves your search engine ranking. It increases word of mouth advertising. Traffic gets you more traffic, but when you’re paying a pretty penny for each and every click you want subscribers and SALES! You may remember the class action law suit against Google. A group of businesses sued Google claiming the company didn’t do enough to prevent click fraud so they lost money in their PPC campaigns. But in my less than humble opinion, click fraud wasn’t the culprit. For those who don’t know, click fraud is when someone who publishes Google Adsense ads clicks on ads on their own site, ( or uses other people/bots ) to make money with no intention of purchasing the product advertised. As I said, in my opinion click fraud wasn’t the culprit. It was badly chosen keyword phrases. Further info on how to choose and bid on the correct keyword phrases for you can be found by reading this earlier blog post here, so I won’t go into the mechanics of bidding in this blog post today! The important thing is, if you choose the most popular keyword your ad will show up in hundreds maybe even thousands of searches an hour. This means you’ll probably receive hundreds maybe even thousands of clicks a day. For instance. If you are selling hand painted porcelain piggy banks and you bid on the keyword “bank”. Who will see your ad and possibly click on it? People looking for online banking, people looking for a rock band called “Bank”, kids writing a report for school on the banking industry. In other words, people who don’t want what you’re selling. So they click on your ad without reading the whole thing and then realize “This isn’t what I want.” and hit the back button. Remember, it cost you money for them to click, it costs them nothing, so people aren’t particular about what they click on. So choose your keywords carefully. You only want clicks from visitors who are looking to buy what you’re selling. Target your keywords correctly and bid on “porcelain hand painted piggy banks” if that’s what you’re selling. Remember this! People who do broad searches are generally just browsing ( like window shopping in the mall ). People who target their searches are usually looking to buy. The point is, with PPC, tyre kickers cost you money. Save the most popular keywords for your free traffic sources. 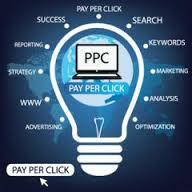 Target your PPC ads so that only credit card in hand buyers click your ads. PPC Marketing is a Learned Skill Which Can Result in an EXPLOSION of Targeted Traffic to Your Website When Done Correctly. So to Avoid Wasting Thousands of Dollars in Failed Advertising Campaigns Get Access to This Great FREE Guide Which Shows You EXACTLY How You Can Educate Yourself in The Best PPC Practices & Bring Profits to Your Business FAST! Click The Button Below to Find Out More Now! This entry was posted in Affiliate Marketing, email marketing, list building, Information Marketing, Internet Marketing, List Building, PPC, advertising, marketing, internet marketing, information marketing,, Traffic and tagged A Pay Per Click Guide For Beginners, Facebook. 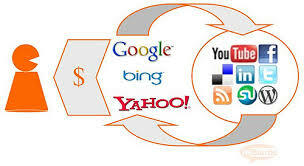 Twitter, Google, pay per click, PPC, traffic. Bookmark the permalink.